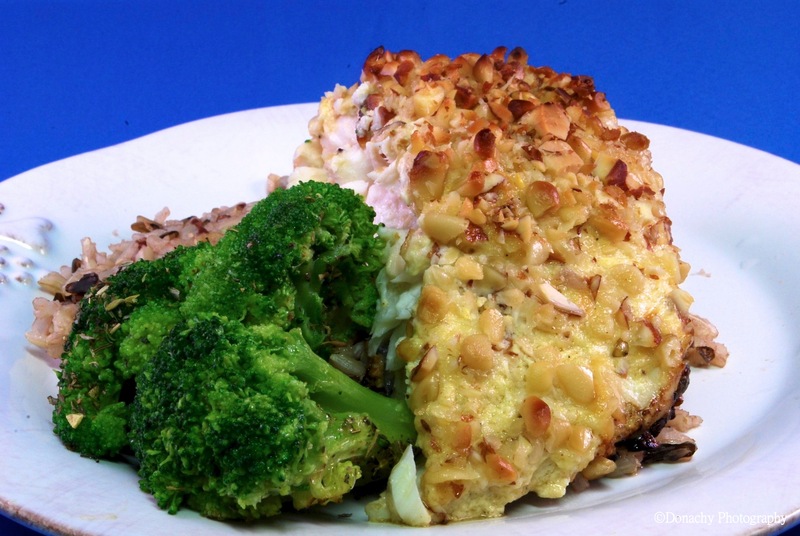 A fillet of Resurrection Bay, Alaska halibut in a homemade mayonnaise and sour cream mixture, encrusted with chopped pine nuts and almonds and served on a bed of mixed brown and wild rice. Broccoli is one of the few vegetables we can consistently obtain in good shape in the bush. I was recently looking around online for the next great place to call home. A top priority for both of us is a place where we can harvest our own fish. With that in mind, as I looked at coastal waters and lakes in other states, it was with a keen eye not only toward some of our preferred fish species (walleye, crappie, perch, striped bass, salmon), but also with an eye toward each state’s fish consumption advisories. Glad to live in a part of the world where the near-shore fish are still healthful enough to enjoy as often as one cares to. We generally have meals featuring salmon, rockfish or halibut two or three times a week. There’s nothing to the above halibut dish. In a glass bowl I mixed together equal parts homemade mayonnaise and sour cream. I wanted to add a dash or two of cayenne pepper for a pleasant kick, but having none used a prepared Thai seasoning mix instead along with a couple of grinds of black pepper and a healthy squeeze of lemon juice. I spread this mixture on a halibut fillet, then covered the sauce with chopped pine nuts and almonds, and baked for 15 minutes at 375 degrees in a small, preheated casserole dish in which I had melted butter. Make sure to check while it’s baking to avoid scorching the nuts. Cover with a lid or aluminum foil if the nuts are becoming overly done. 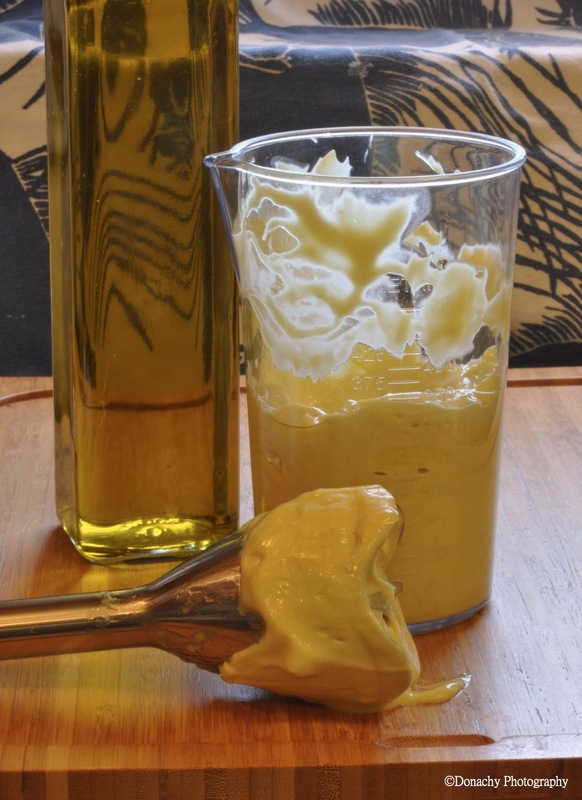 By the way, if you’ve never made mayonnaise, it’s easy–and kind of magical. There are no shortage of instructional videos on the Internet.